Sure, Obama’s a Wall Street tool. That’s not news. But this post isn’t about economic policy, banks, the relationship between Goldman Sachs and the Treasury Department, or any of that. It’s about education policy. Four days ago I wrote about reading the third and latest of Martin Walker’s crime novels, Black Diamond, featuring that dear French police chief Bruno. Yet again, Walker connects life in a seemingly quaint rural village with the larger currents of national and international history and economy. It’s a wonderful book, and I eagerly await volume four. But in the meantime, upon finishing the book this morning, I was free to get caught up on the latest issue of the New York Review of Books, which I proceeded to do by reading Diane Ravitch’s review of Steven Brill’s Class Warfare: Inside the Fight to Fix America’s Schools. Ravitch takes strong exception to it, or rather to the “reform” efforts of Wall Street dandies that enthrall Brill. Brill also lavishly praises the billionaire equity investors and hedge fund managers who have financed the reform movement, … . The financiers of public school reform described here live in a world of spectacular wealth. They believe in measurable outcomes; their faith in test scores is greater than that of most educators, who understand that standardized tests are not scientific instruments and that scores on the tests represent only a small part of what schools are expected to accomplish. The Wall Street men have found a cause that is both “exciting and fun” and, as Curry IV puts it, “because so many of us got interested in this at the same time, you get to work with people who are your friends.” It is unlikely that any of them have close personal connections to public education, yet they have made it their mission to change national education policy. School reform is their favorite cause, and they like to think of themselves as leaders in the civil rights movement of their day, something unusual for men of their wealth and social status. In 2005, the financiers formed an organization called Democrats for Education Reform (DFER) to promote ideas such as choice and accountability that were traditionally associated with the Republican Party. They set out to change Democratic Party policy, which in the past, as they saw it, was in thrall to the teachers’ unions and was committed to programs that funneled federal money by formula to the poorest children. DFER used its bountiful resources to underwrite a different agenda, one that was not beholden to the unions and that relied on competition, not equity. While it was easy for the Wall Street tycoons to finance charter schools like KIPP and entrepreneurial ventures like Teach for America, what really excited them was using their money to alter the politics of education. The best way to leverage their investments, Brill tells us, was to identify and fund key Democrats who would share their agenda. 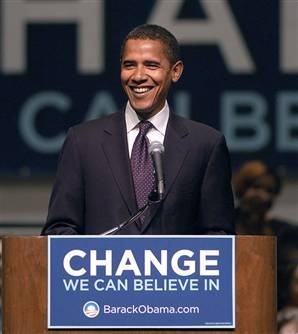 One of them was a new senator from Illinois named Barack Obama, who helped launch DFER at its opening event on June 3, 2005. The evening began with a small dinner at the elegant Café Gray in the Time Warner Center in New York City, then moved to Curry’s nearby apartment on Central Park South, where an overflow crowd of 150 had gathered. … Brill writes that DFER sent a memo to the Obama team immediately after the presidential election, naming its choice for each position. At the top of its list, for secretary of education, was Arne Duncan. It’s a wonder that Obama and Duncan doubled down on the bet Bush made on accountability based reform through No Child Left Behind. Mind you, I’m no expert on public education policy, but I’m convinced by a decade of evidence that NCLB has been a disaster, with its reliance on standardized testing and severe penalties for failure. I could say more. However, why not turn again to Ravitch? Brill believes that teachers are the primary reason for students’ failure or success. If students have great teachers, their test scores in reading and math will soar. If they don’t, it is their teachers’ fault. Reduce the power of the unions, he argues, and bad teachers could be quickly dismissed. Of course, bad teachers should be dismissed, and many are. Fifty percent of those who begin teaching are gone within five years. … . Unfortunately, Brill is completely ignorant of a vast body of research literature about teaching. Economists agree that teachers are the most important influence on student test scores inside the school, but the influence of schools and teachers is dwarfed by nonschool factors, most especially by family income. The reformers like to say that poverty doesn’t make a difference, but they are wrong. Poverty matters. The achievement gap between children of affluence and children of poverty starts long before the first day of school. It reflects the nutrition and medical care available to pregnant women and their children, as well as the educational level of the children’s parents, the vocabulary they hear, and the experiences to which they are exposed. Poor children can learn and excel, but the odds are against them. Reformers like to say that “demography is not destiny,” but saying so doesn’t make it true: demography is powerful. Every testing program shows a tight correlation between family income and test scores, whether it is the SAT, the ACT, the federal testing program, or state tests. Blame the teachers. And the unions. It’s so much simpler that way. And it keeps the campaign contributions rolling in. Brill’s book is actually not about education or education research. He seems to know or care little about either subject. His book is about politics and power, about how a small group of extremely wealthy men have captured national education policy and have gained control over education in states such as Colorado and Florida, and, with the help of the Obama administration, are expanding their dominance to many more states. Brill sees this as a wonderful development. Others might see it as a dangerous corruption of the democratic process.